NEW! The long awaited full-length Peter Pepper Vs. The Great Whatever , physical CD now available through Hot Topic in the US and worldwhide in the official Peter Pepper store and digitally on iTunes and Amazon! Action packed AdventurePunk by electro-punk maestro Peter Pepper! Kicking off with the punch-to-the-face know as Think They Know, Peter Pepper Vs. The Great Whatever is an electro-punk trill ride that will have you stomping along through every fun, angsty and catchy track. Sprinkled with flavor from all over the spectrum (i.e. Eminem, The Offspring, Tool), Peter Pepper Vs. The Great Whatever will whip you up into a rage with a smile on your face. These ultra-animated, adventure-punks known as Peter Pepper rose from the ashes of singer/songwriter Peter Pepper’s electro-punk project Retard-O-Bot. Peter’s talent as a visual artist, musician, performer and his active passion towards his fans have easily made him an artist of note. Now with his band of action-packed adventure pals, Peter Pepper is giving voice to the lost, anxious, and overwhelmed generations of people who have become victim of the great whatever. 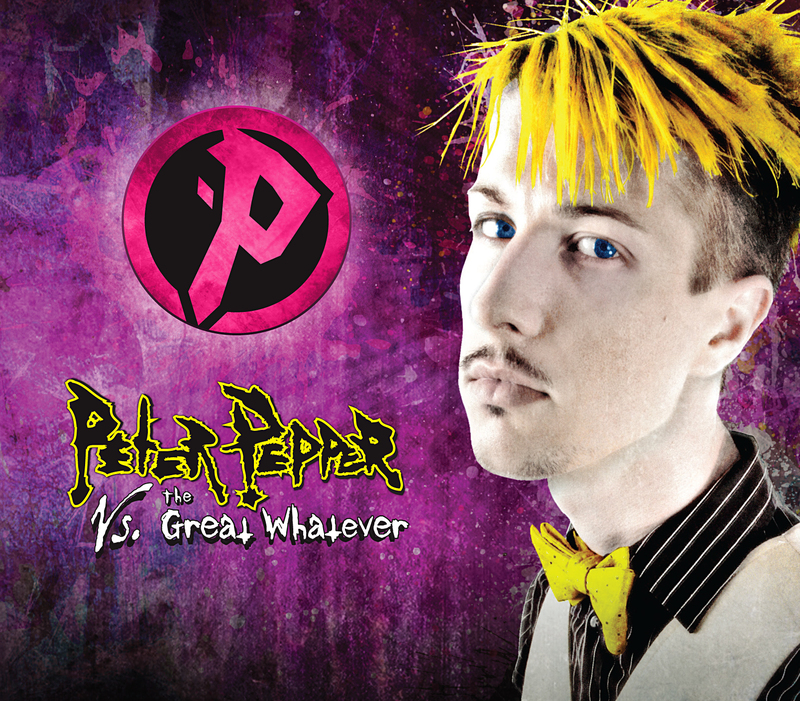 Now hold on tight as the new excitement is cranked up with his hottest release to date, this is Peter Pepper Vs. The Great Whatever! Are you prepared? Can you keep up? What is next for our favorite adventure-punk? Find out this and more as the action continues with Peter Pepper Vs. The Great Whatever, available now! This entry was posted in Adventure Punk, Music, New Release, Peter Pepper and tagged #AdventurePunk, Adventure Punk, CD, LP, Merch, Music, Peter Pepper, Think They Know. Bookmark the permalink.